Master’s degree, London School of Economics and Political Science. President, Rubens Barbosa & Associados; President of the Upper Council of Foreign Trade, Federation of the Industries of the State of Sao Paulo (FIESP). 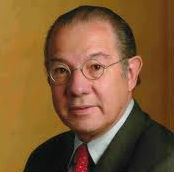 Former: Ambassador to the Court of Saint James in London and to the United States; Secretary for International Affairs, Brazilian Ministry of Finance; Brazilian Permanent Representative to the Latin American Integration Association (ALADI); Under Secretary-General for Regional Integration, Trade, and Economic Affairs, Brazilian Ministry of Foreign Relations. Has written a number of books.